Dustin: At what point were you introduced to the effects of location having a bearing on your success rate? Miles: I think that for me realizing pitch location is going to make a big difference for me started early because I was not a hard throwing guy in high school (Go Warriors!). However looking back at my career I feel like every time I moved up a level whether it was high school to college or AAA to the Majors, that location matters more the higher you go. The more advanced that hitters get the more location matters. Dustin: Within your life, how do you feel like command developed for you? At which stages of your career? Miles: I think that early in my professional career as my velocity improved I would put less emphasis on location. I got away with this for a short while but again as I would move up I found myself having to put more importance on command and location. I do think the biggest development for my command came when I transitioned back into a starter in 2014. The move eventually led to a tweak in my mechanics and that led to increased command. Dustin: Could you describe in detail the things you did to improve your ability to command your pitches, mentally and / or physically? Also, did or does velocity or % of effort affect your ability to command locations in the past or still today? Miles: I think a huge step for improving my command was keeping my head still during my delivery. I feel that with my body working around my head I can have a consistent release point. Keeping my delivery simple and repeatable is very important, with less moving parts there is less to go wrong. On the mental side I think that there is a lot to be said. To keep it short and sweet you have to commit mentally to wanting to locate all of your pitches, the minute you try to just mail it in you can lose it. Sometimes all it takes is a moment of laziness, one or two batters to make a difference in a game. The other is effort level if you are sold out to just letting a pitch eat and not caring where it goes then, yeah your command is going to be bad. I think every pitcher has a cruise control zone where they have the best combination of command and velocity. I think it is really important for pitchers to find that area and know that feeling. I’m a big feel guy. 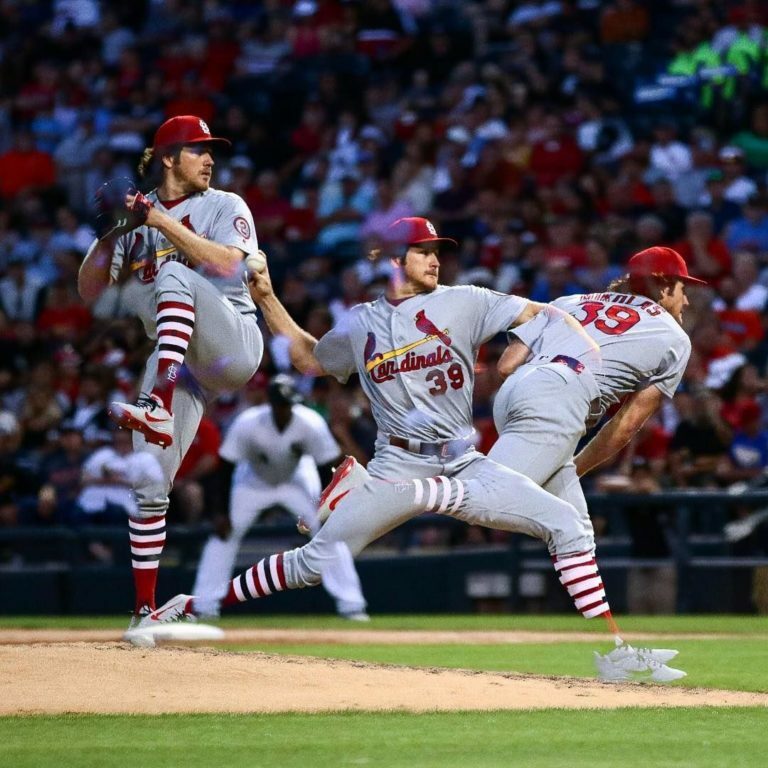 I think its important for pitchers to remember how something feels rather than how it looks on video. Dustin: In your opinion, what locations work best for your arsenal? In your opinion, what locations should be constants for most? Miles: I think there are a lot of standard locations that work well for everyone. the always good down and away and up and in are favorites of mine. Obviously fastballs and the occasional cutter are the only pitches I would ever want to leave up on purpose. I also like to keep my breaking balls down in the zone and to both corners. I think when it comes to different pitches it is how and when you use them that allows the location to play up. Sequencing can be as important as location many times. Sometimes you can hit your spot perfect but if it was poor selection or sequencing the location might not matter a whole lot. Dustin: When you were an amateur pitcher, how did the pitching culture culture of the game in general affect your training? Miles: I think when I was young the baseball culture was much like it is now, people loved hard throwing pitchers and they still do. That “throw hard mentality” would creep into my mind very often and I would find myself coming out of my delivery and trying to be someone that was not. It also led me to constantly looking for ways to improve my velocity. Little did I know but some of the things that led to my increased control would also lead to improved velocity. I think pitchers should always be looking for ways to get better at everything including velocity TO a location, but for some its a decision that you have to make about what type of either you are going to be. There are guys who are blessed with great arms and others that are blessed with great command. It is the guy who is always trying to turn his weakness into his strength that will be successful. Dustin: Finally, what advice would you offer to young amateur pitchers who are trying to find their way? Miles: The advice that I would give young pitchers would be first and foremost to have fun! If you’re not having fun you should be doing something else. Also don’t try to be someone you’re not. One of the most common things that I hear from other pitchers is that they were never really successful until they started to be themselves. Don’t try to be a Rodger Clemens if you are a Greg Maddux. 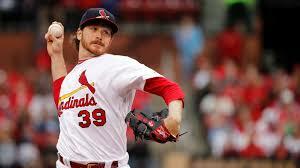 There is such a wide spectrum of great pitchers and their abilities. If you take your abilities and try to make them as good as you can you will most likely be in a pretty good position to be successful. 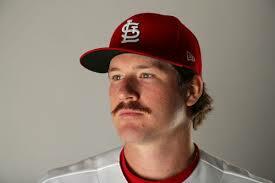 Miles Mikolas (nickname: Lizard King) is a 29 years old and from Jupiter, FL. 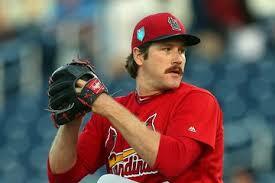 He has pitched for 3 Major League teams San Diego Padres, Texas Rangers, and his current team St. Louis Cardinals. Miles also spent time playing in Japan where his logged efforts earned him more opportunity back in Major League Baseball. In 2018 Miles has had a spectacular season landing him on the Nation League All-Star team. 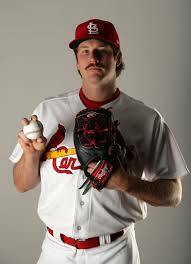 His average fastball ranges 94-96mph paired with a stellar curveball (80mph) as well as a slider and change-up. Miles has dedicated his life to improving his craft and the mission of Lokation Nation resonates with him.